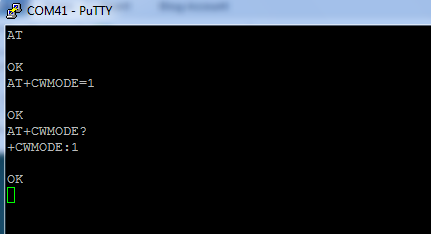 Hi, how would one determine the port number to be used in setting up the Putty? For example, your page here used port 80. Excellent at last a simple explanation of the communication going on during a simple web transaction. Will try to adjust to using esp in ap mode to set up an arduino without need for seperate wifi router. 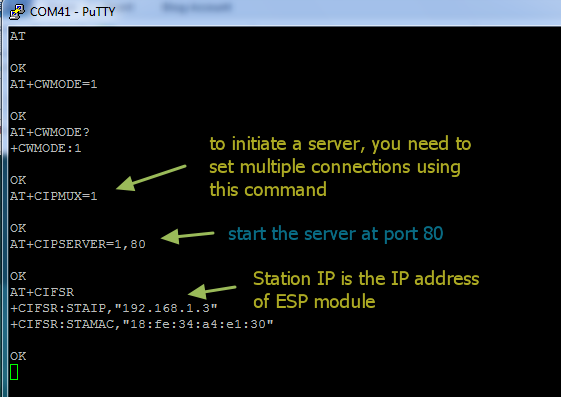 How to use esp to connect thingspeak?